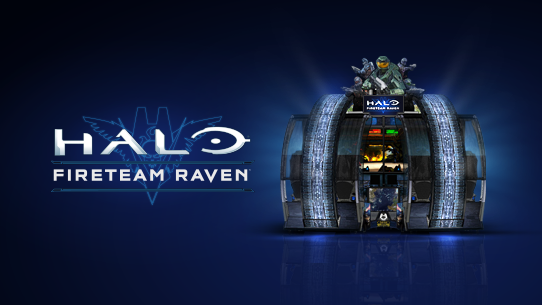 Halo: Fireteam Raven has Arrived! For the US launch of the game, we’ve partnered with Dave & Busters to give players their first experience with the new title, and we’re excited to announce that Halo: Fireteam Raven is now available at all Dave & Buster’s locations! Reception from both industry reviewers and fans alike have been incredible, and we can’t wait to help every fan possible take part in this fun, unique, and exciting new Halo experience. Also, as a special treat for Halo fans and content creators, we've put together a little Community Content Care Pack on the Halo Waypoint forums full of awesome Halo: Fireteam Raven screenshots, logos, renders, and wallpapers! We’re not the only ones excited about revisiting humanity’s epic struggle through the eyes of its greatest hero – so is the legendary voice behind those timeless adventures. 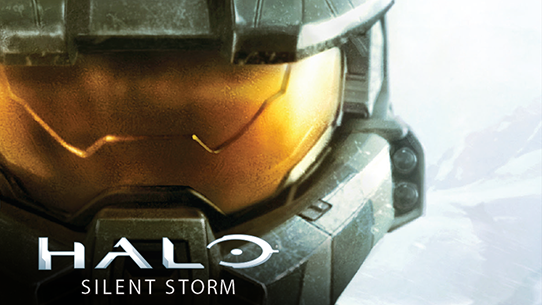 That’s why Steve Downes – the voice of John-117 – has joined us in bringing “Halo: Silent Storm” to life with a small excerpt voiced in his own heroic tone. Halo: Fireteam Raven, is a cooperative arcade sci-fi shooting game from arcade legends Raw Thrills and Play Mechanix in a unique partnership with 343 Industries. Set in the timeframe of Halo: Combat Evolved, this new arcade experience hot-drops players feet first into the boots of Fireteam Raven – a group of elite Orbital Drop Shock Troopers (ODST) on the surface of Alpha Halo. Get your first look today! 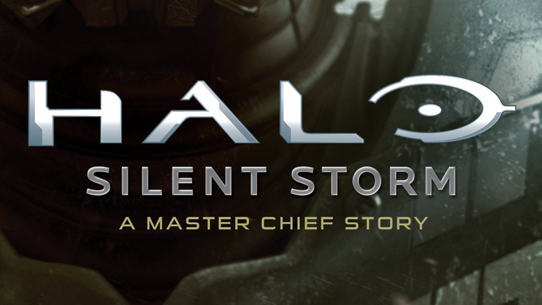 Not long ago, we announced Halo: Silent Storm, a brand-new hardcover novel that takes fans both new and old on an exciting adventure with John-117 – the Master Chief. Penned by New York Times bestselling author Troy Denning, Halo: Silent Storm follows the Master Chief and his fellow Spartan-II teammates within Blue Team as they fight for humanity’s survival on multiple fronts during the early days of the Covenant War. Today, let's take a first look at what to expect from the upcoming story.